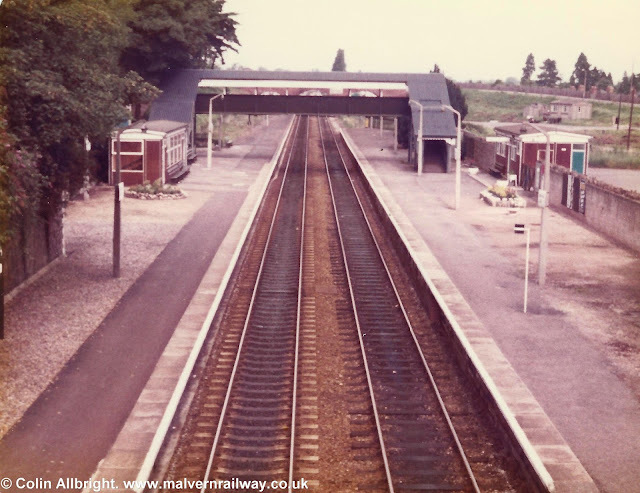 For our blog post this week we return to Ashchurch Station, with some more fantastic pictures taken from Ben Brooksbank's Geograph page. 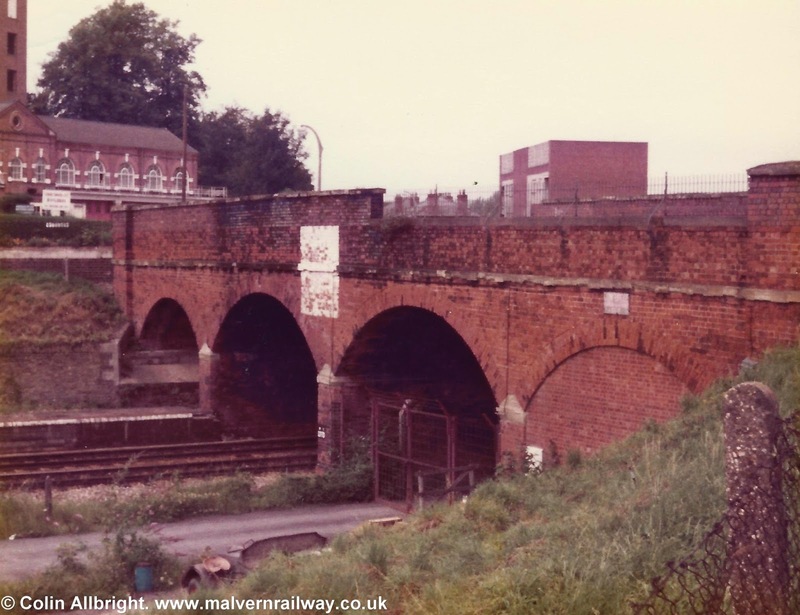 These shots show Ashchurch during its post-war years with all three lines still connected: the old line to Malvern to the west, the route to Barnt Green via Evesham to the east, and the surviving Birmingham-Gloucester main line running down the middle. 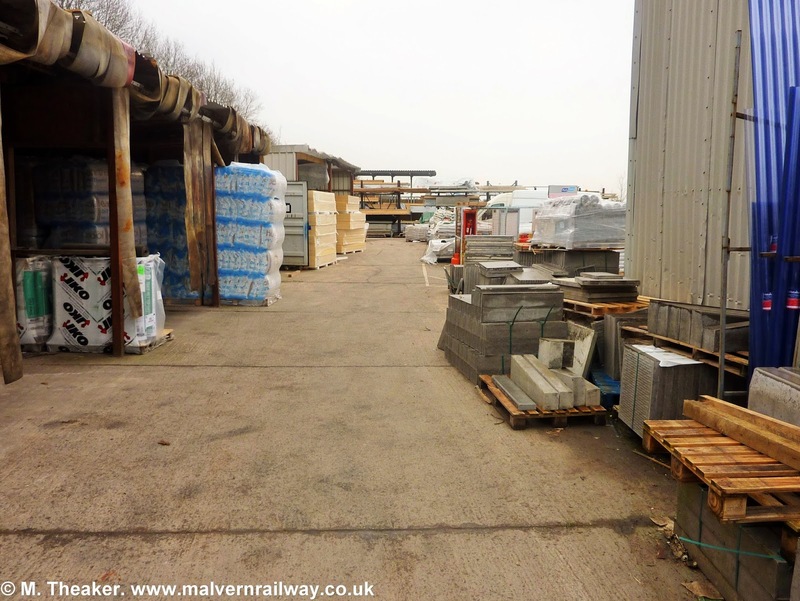 The Malvern line as we know is sadly long-gone, but a stub remains of the Evesham 'loop' line in the form of a 400m access spur serving the Army's vehicle depot in the town. This station was sadly closed in 1971, although a smaller station was built nearby in 1997 to restore the town's connection to the main line. 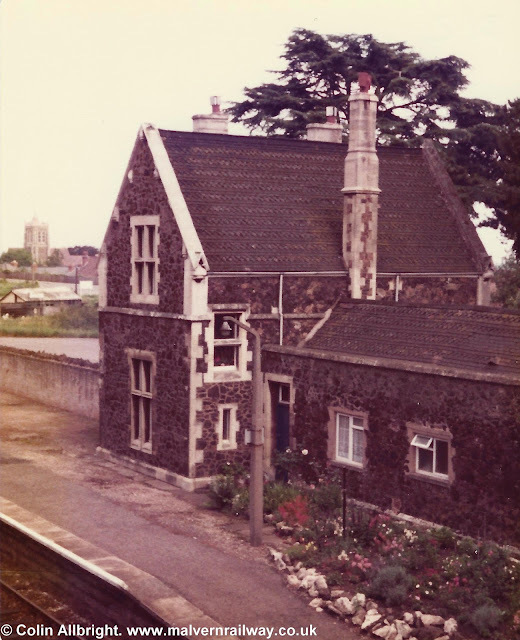 'Ashchurch Station, 1957'. This shot clearly shows the three lines that once ran through Ashchurch, as well as the curious wedge-shaped buildings on the platforms. Used courtesy of Ben Brooksbank via Creative Commons. 'Ashchurch Station: view northward from the A438 bridge in December 1948'. Used courtesy of Ben Brooksbank via Creative Commons. 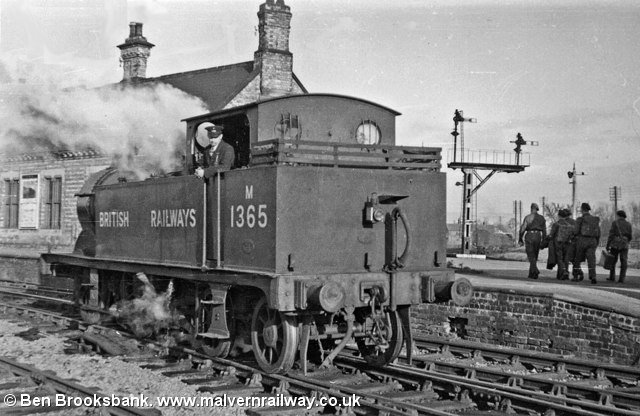 'Ashchurch: Midland 0-4-4T engine in Transition'. Used courtesy of Ben Brooksbank via Creative Commons. 'Ashchurch Station: a view from the 'Entrance' onto the Up platform, with the Tewkesbury Engine'. Used courtesy of Ben Brooksbank via Creative Commons. 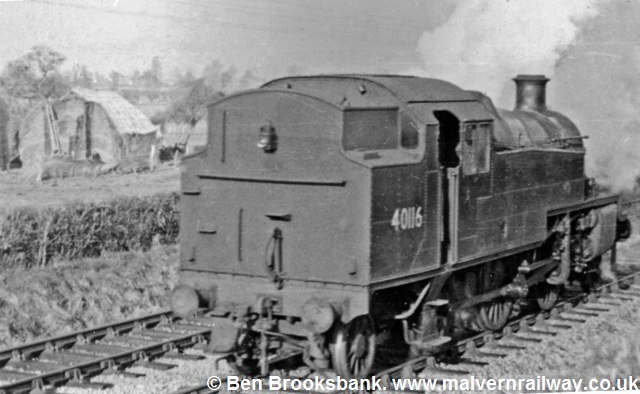 This week's blog post takes us to Twyning Farm near Tewkesbury to see a selection of Ben Brooksbank's photographs of the section of railway that bisected the farm there. 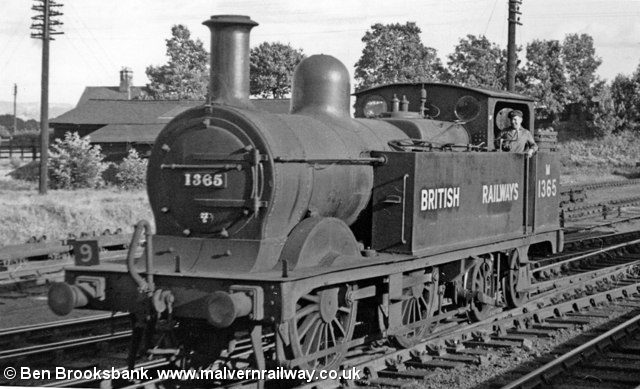 Ben lived at the farm from 1926 until 1944 and was a frequent visitor in the years thereafter, putting him in the perfect place to get some fantastic shots of the small tank engines as they passed through the area. 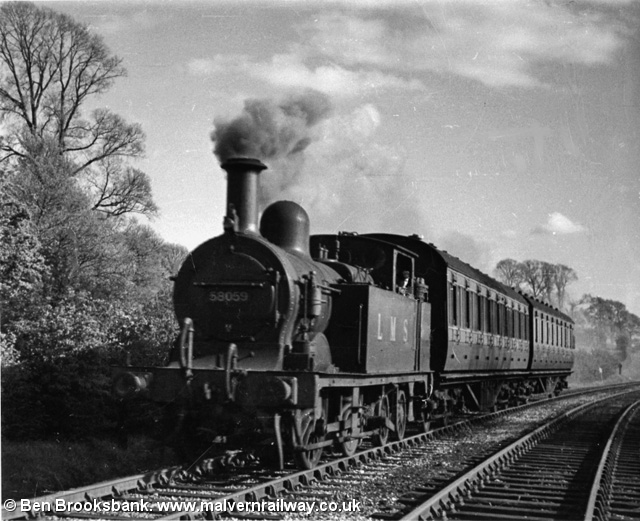 Of particular interest is the third picture, a nicely composed view of a locomotive approaching the gentle westward curve north of Shuthonger with a single carriage in tow. 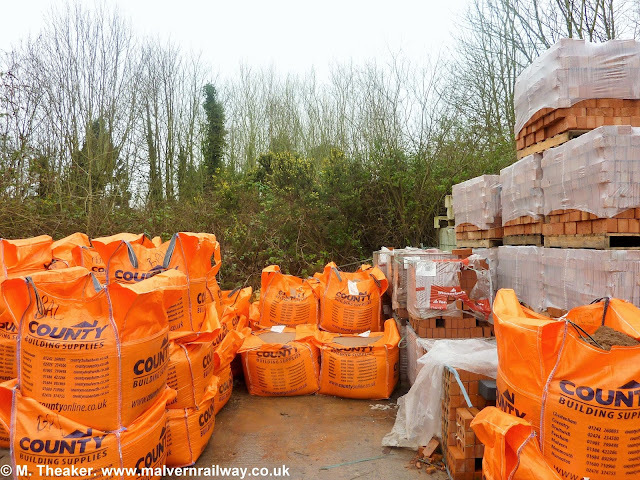 I think that this picture, perhaps more than any other on this site, captures the essence of this small country railway perfectly. 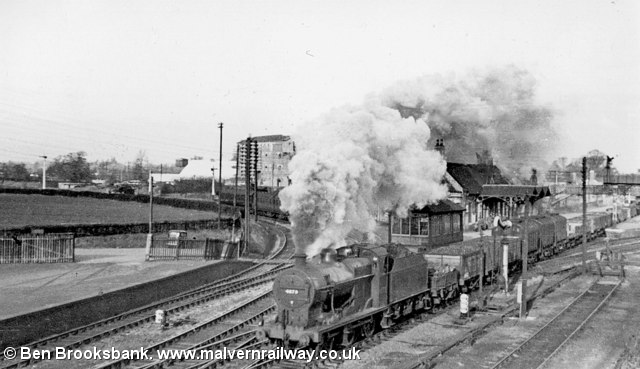 'LMS Stanier 3MT 2-6-2T on Ashchurch - Great Malvern line. View NW, towards Great Malvern from the bottom of the track from Twyning Farm.' Used courtesy of Ben Brooksbank via Creative Commons. 'Ashchurch - Great Malvern Railway.' Used courtesy of Ben Brooksbank via Creative Commons. 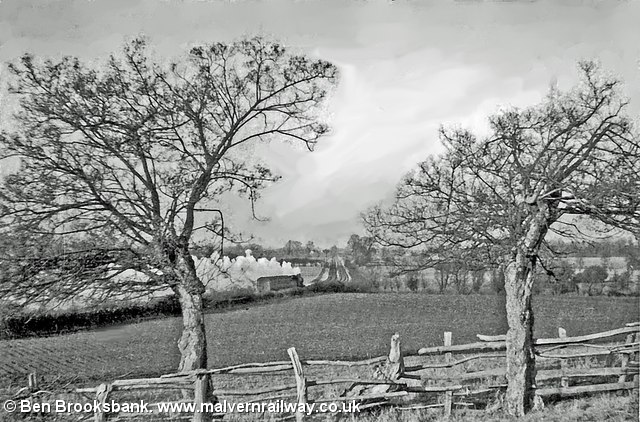 'The Little Ashchurch - Great Malvern train seen from Twyning Farm.' Used courtesy of Ben Brooksbank via Creative Commons. Just a quick update from me this week while I am on holiday. This short series of pictures fills a small gap in my route map, showing the modern County Builders yard which sits on the former site of the Tewkesbury Junction sidings complex. There is not much to see here now, but the tree line from above (as ever) provides a clear sign of where this last stretch of the Midland line to Ashchurch ran before it joined the main Hereford-Worcester branch just a few hundred yards away. The view north towards Great Malvern roughly in line with the route of the old railway. A little further along - the line ran straight through where the large shelving units stand now. 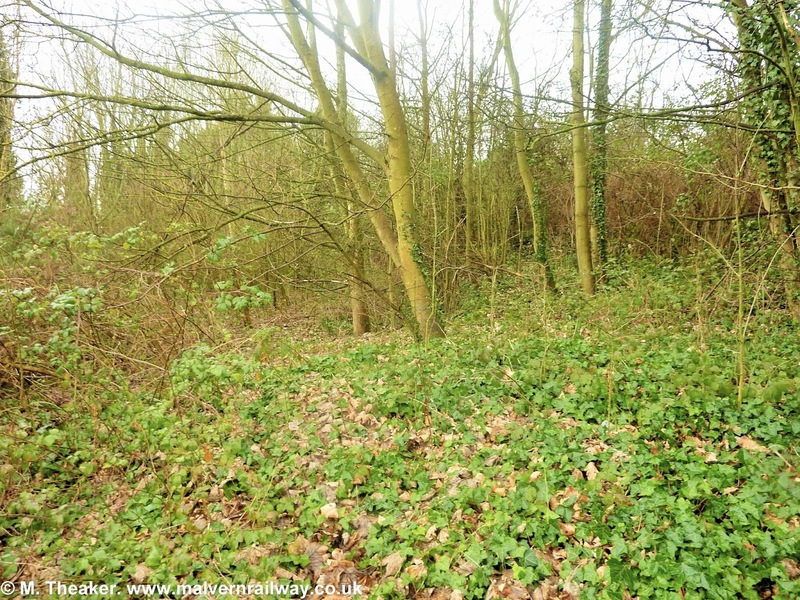 The rear of the site gives a little more detail away - the tree line matches the old railway line as it ran south. The tree line looking south from the builders' yard. This tree line continues behind the houses on St Andrew's Road before emerging onto the south-eastern corner of Malvern Common. 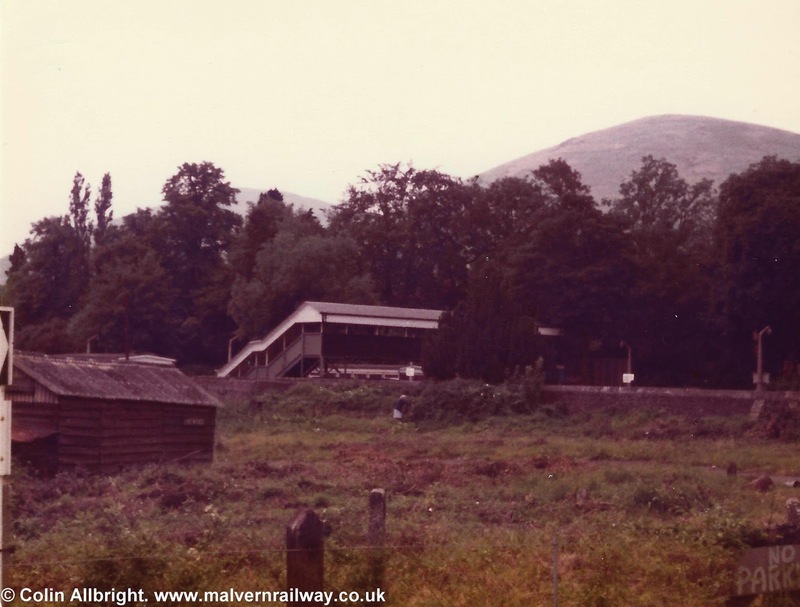 This week's post takes us to Malvern Link, a site less frequently visited by this blog. 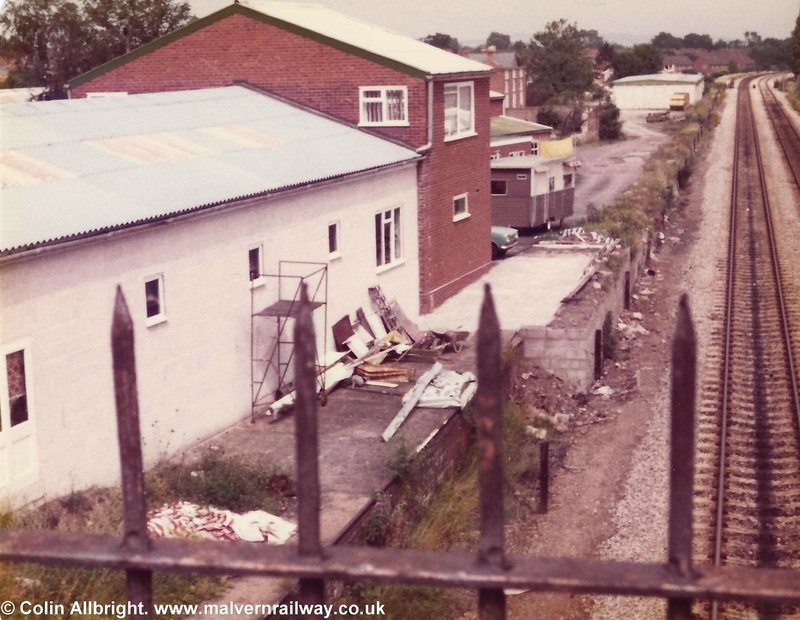 These pictures were taken in the late 1970s by Colin Allbright, and show the station in a bit of a run-down state. Happily, the stop was given a facelift in early 2014, with a new stone-clad booking office a key new addition. 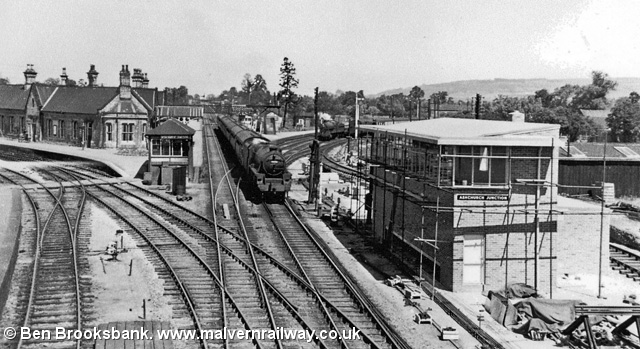 The shots below are interesting in that they depict the station in a less congested setting - the area around Malvern Link has seen quite a lot of building work in the last few years with a revamped fire station, hospital and new retirement homes all clustered alongside nearby Worcester Road. Anyway, I hope you enjoy this trip through time! 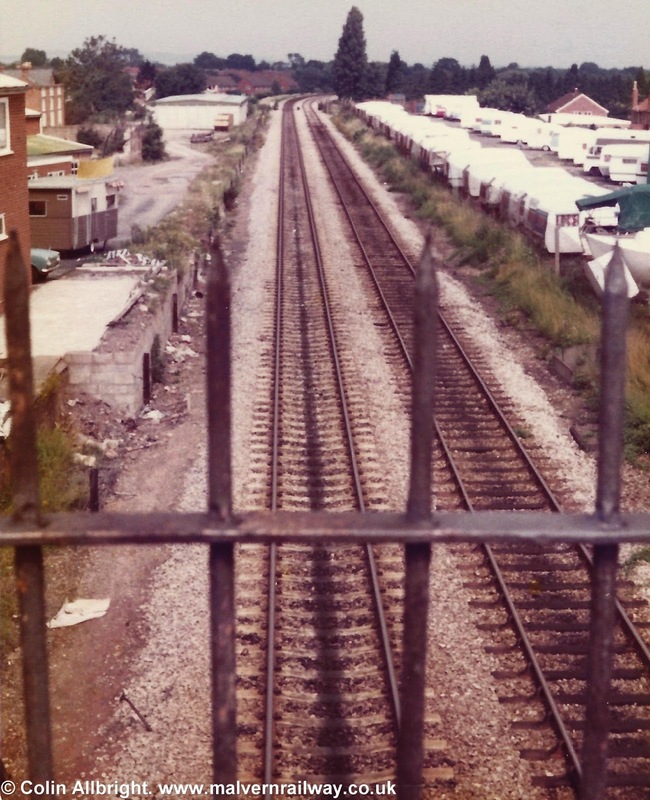 The view northwards along Malvern Link station from Worcester Road bridge. The pedestrian footbridge from the east. 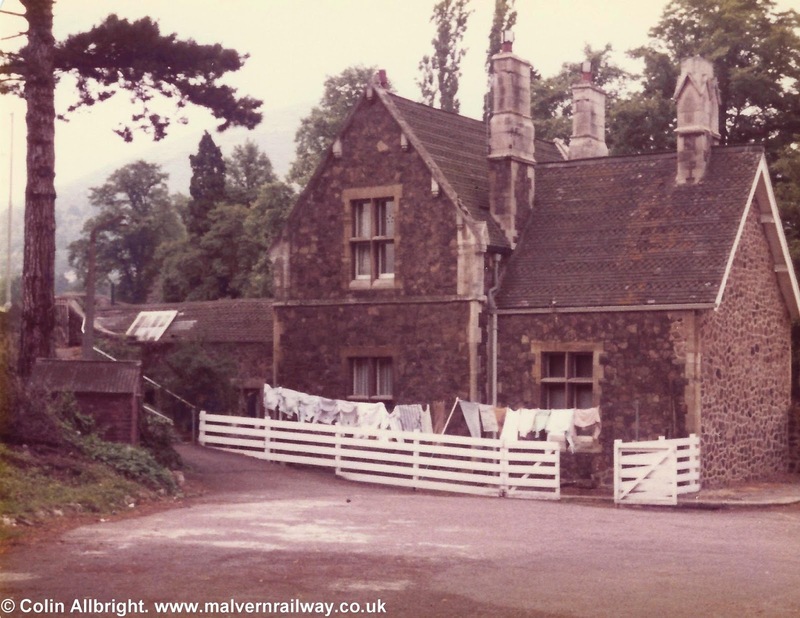 The station master's house, and the day's laundry. The station master's house from above. The view north from Howsell Road to the caravan park. 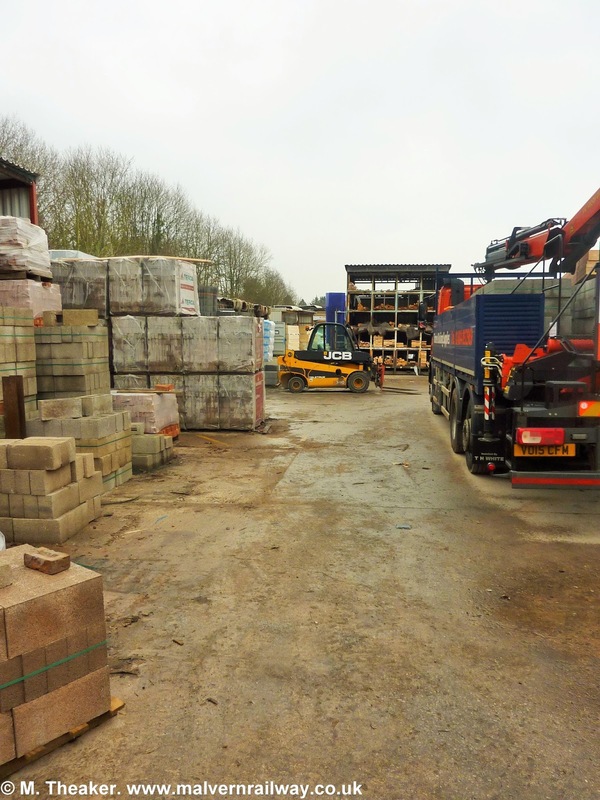 Some building work being carried out!